Creating a budget is one thing but unless you live by the budget, you are wasting your time. It is not easy getting all your details together, working out what you need to do and then finding you have missed a bill or you over spend, and your budget crashes around you. While this is not good, it does happen, it is still possible to pick up the pieces, move forward with your budget, and bring control back into your financial life. Actually create a budget that is useable and is easy to understand, the more complicated it is the more likely that you will not continue on the budgeting course. Deciding on your financial priorities is important when you are creating a budget, are you looking to pay off debt or create a savings account for the future? Once you have a goal, it is easier to keep your focus on the outcome. If you are looking to buy a large ticket item it is a good idea to give yourself time to work out if you actually do need the item or if you are buying on impulse. When budgeting it is easy to just budget month to month; if you consider the whole year too, it is possible to save earlier in the year for items that you know are due and you can save for rather than having big bills once or twice a year. Don’t forget the fun, it is important that you allow some money to have fun, it doesn’t have to be a lot but you have to do something fun with the money, if you are not having any fun time; it is important otherwise you might be tempted to blow your budget! Look where you have had issues in the past where you have broken your budget, see if there is a pattern, determining what causes the break can help you solve any future problems that could lead to another break down of your budget. Put strategies in place to catch any breaks, I always have a flexible category; this catches anything that I have forgotten to budget for. 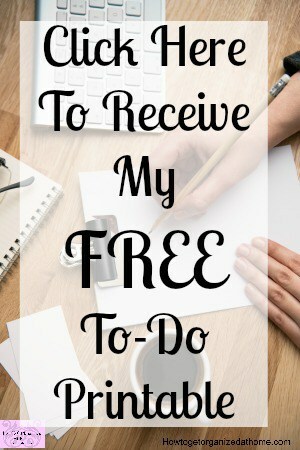 Take a no spending challenge, this is where you challenge yourself to not spend any money for a period of time, it is not about a forced challenge where you haven’t budgeted and run out of money it is about learning to spend less and making do with what you have. If you’re tempted to buy things, you can’t walk past a certain shop without buying something then remove this trigger, avoiding the temptation can help to reduce the craving and avoid breaking your budget. Reward yourself for good behaviour, it is nice to achieve a milestone and enjoy those feelings and celebrate them, just plan the celebration into your budget. Share your financial goals with your friends; explain to them that you are on a budget. They might want to share your excitement at the prospect of having to spend less; talking to people will help you to move forward with your budgeting, it is not something to feel embarrassed about, get the help and support you need to succeed. 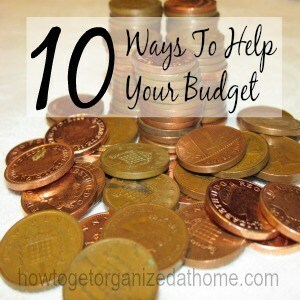 Therefore, if you are looking for ways to help your budget you might be surprised at the positive actions you can take to help keep your budget in check. These are great tips! I especailly agree with making sure there is fun money and rewarding yourself once you get to a certain goal. My husband and I are currently working on oaying off our debt, we don’t have a lot, but we both hate having it hanging over our heads. This is just what I needed to help me figure out more money saving tips. All of these tips are great. One of the hardest things are to have a mindset on things you really need and things you want. Realistic budgets give you a little extra spending money but then enough to save as well. I pinned this for sure! Thanks for sharing! We’ve started using a budget and it really has helped us to know where our money is going each month instead of wondering where it all is! Thanks Sarah for visiting:) I love budgets!